A few years back when The Villages resident Parker Sykes offered to provide my readers with his original “50 Things” document I was blown away by what I read. The original document provided sharp insight and covered many things that potential Villagers need to consider before buying a home and moving to “Florida’s Friendliest Hometown”. So when Mr. Sykes emailed me a few years later to tell me he was working on a massive update to the original document, I was very excited, and I’m happy to report that this update is now available to you, free of charge. For your convenience, you can either download it as a pdf, or continue reading below. Before we get into the “50 Things” you should think about before/after buying a home in The Villages, let’s briefly explore your retirement location decision-making process. The Villages is unique, especially in its scale. It is important that you fully understand, be informed, and be confident about your decision to buy in The Villages. It should be clear to you what lifestyle you desire, and what you will be expecting out of the The Villages’ community when you move here (either part-time or full time). The actual home purchase selection needs to synchronize with your overall needs, goals, objectives, expectations and frame of mind surrounding the choices you make. A message that will resonate throughout this write-up is to be studious and careful in your decision-making process, even up to the point of renting for a period of time before locking in on what your needs are. Many Villagers move multiple times after the initial home purchase. In some cases this is due to not being thoughtful enough when making the initial purchase decision. It should also be mentioned that a portion of this write-up may strike some as a bit negative. A critical bias is injected at certain points only as a means to balance the euphoria associated with what most people experience when first visiting The Villages. It is assumed that you have already been to The Villages and you are probably amazed at what you’ve experienced. You’ve never seen anything like it and your decision to choose The Villages as your retirement destination appears imminent. Testing this hypothesis by being exposed to a few contrarian points of view will hopefully help you feel more secure in your choice and happier in the long run. As you know, there are plenty of articles published in magazines covering the topic of where to retire, including relevant decision-making criteria and data. But don’t you sometimes wonder about what motivates and biases the authors of these articles? Why do a lot of the lists leave out The Villages? Do you wonder if they are using the right evaluation factors to rate the different locations? Maybe the authors aren’t even effectively grounded with a retirement perspective. They may not be retirement age and may have outdated ideas and opinions about what is important to potential retirees. They may only be looking at incorporated cities and towns where good data exist. Or, as sad as it is to say, they may favor communities willing to advertise in their publication(s). One thing we won’t be discussing is the myriad of financial considerations surrounding retirement and relocating to Florida. You may already know about Florida’s beneficial state income tax situation, but there may be other tax or estate planning areas that you should research. We won’t dwell on the weather, hurricanes, etc., or the cost of sinkhole insurance. You already know about these things or are willing to find these answers through publications such as Inside the Bubble. So, to start, let’s discuss a few retirement decision facets that you’ve probably already been thinking about up to this point. Let’s begin with the three phases of retirement. I didn’t think this up — I read it somewhere. Sorry, I can’t remember where so I can’t give credit to the author. There is no prescribed time limit for each phase. As the topic is discussed remember that you may be thinking as a single individual, a couple, or maybe even as an extended family (parents coming with you or ahead of you). The first phase has the retiree(s) staying close to family and friends, with a lot of emphasis on generational family (parents/ children/grandkids). There could also be an element of not wanting to leave the community or the home you’ve become accustomed to and feel comfortable in. Often the retiree individual/couple may downsize locally or regionally while still staying close enough for a reasonable commute to family and friends. If you are grandparents you may get a lot of satisfaction from watching the grandkids grow up, at least up to the point where they get a little older and their priorities change. The continuation of the family unit into the retirement phase of course fits with societal norms throughout history and is especially prevalent in other nations and cultures. Note that work can possibly continue on a part-time basis in Phase I with the same employer. Or, maybe a new career is started, but still geographically centered near “home base”. Phase I may be a non-issue for certain people without family ties connected to where they currently live. Or, the family dynamic is one where there is encouragement given to the retirees to “pursue their dreams”. Possibly the family has scattered to remote locations, so staying close isn’t even an option. Some people may move straight from a work life to Phase II. There is also a variation on Phase I that may offer the best of both worlds; that being the younger generation following the retiring parents by moving close to their parent’s (or even grandparent’s) retirement location. There could be a strong jobs match based on the younger generation’s skillset. The second phase of retirement takes on more of a “me” emphasis: travel, recreation, hobbies, lifelong learning, pursuing more agreeable weather etc, etc. Here the family ties may become slightly more disconnected. Work may continue somewhat in Phase II but many people at this stage take on an attitude that they have worked hard at a job, raised a family, fought the traffic, lived with terrible winter weather, and now are ready for a new phase of life focused on the activities they want to do to simply enjoy themselves. Some people worry about aging prematurely or becoming depressed if they age-in-place, and come to realize that gravitating towards a more active lifestyle involving sports and social engagement opportunities might actually prolong their life. Now, in the alternative, some people feel they need to stay close to cultural meccas, a diverse population (including young people), or possibly educational institutions. This may be an intensification of the lifestyle they enjoyed during the free time of their working years. Or, other people may prefer a more isolated and serene environment in retirement. While the options may vary, the emphasis is on doing what you enjoy, free from the demands of the workplace, and somewhat freer from family or societal obligations prevalent earlier in life. Phase III prioritizes being close to or part of an advanced age-friendly environment, especially from a health care perspective. While some retirees find they would like to be close to their family or lifelong friends in the event of failing health, they may also recognize that an adequate health care infrastructure needs to be close to their Phase III residence, if possible. So, where does The Villages fit? It is my belief that no one would argue that Phase II and The Villages are in perfect harmony for many people, especially if an active lifestyle is what they are pursuing. And, with the increasing availability of quality health care facilities and options, Phase III is also very much in alignment. In rare cases I suppose some may have a very difficult health care need that would carry them to the backyard of some major health care facility — but this is probably the exception. Some people are cutting short the Phase I timeframe because of the ease of transportation into/out of Florida, and the fact that Florida is already a logical vacation destination for family and friends. Quality time is possible throughout the year with planning and motivation. And, of course in the social networking/texting/Skype world we live in today, family and friends are already in what seems like continuous daily communication with each other anyway. Before choosing The Villages have you thought about other alternatives? One of the best ways to make a good decision is to evaluate a full range of alternatives in a way that is meaningful to you. Many people actually have no idea what criteria to use in selecting the best retirement approach and often fall into a trial-and-error mode, some even moving through a variety of experiences multiple times before happening upon what turns out to be most appropriate for them. A good way to start the alternative evaluation process is to simply write down the alternatives you want to consider. You may want to lay out your ideas across a broad spectrum starting with a conservative “do nothing” approach, leading all the way up to extreme or even unrealistic options. As a way to brainstorm and recap a few options, scan the following choices (OK, a few may border upon the ridiculous but are offered to expand your thinking). After creating your own personalized list of options you’ll have to apply your own decision-making criteria and weighting factors to narrow down the choices. Things like proximity to family, weather, affordability, diversity, culture, lifestyle dynamic, etc will all apply. It’s important to create a list of maybe three to six alternatives. If you only list one or two options you have no room to compromise and optimize. • Buy a small farm, orchard, winery, bed-and-breakfast, etc. What type of community is The Villages? You hear this statement on occasion, even from the Developer. Why is it being mentioned? Maybe it is because The Villages has become so large that some people are simply overwhelmed. Maybe there is the appearance of a “herd mentality” and folks are getting a bit scared of the phenomena? Also, if it is so successful then something must be wrong with the Developer’s economic formula, some people say. After all, aren’t all large companies and organizations (and family businesses) greedy and corrupt (push-back from the recent economic crisis, Wall Street messes, corporate headline scandals, etc.)? Then, there are some that feel a bit dissatisfied and that even more changes and improvements should be possible given the scale of The Villages — surely there should be a way to provide something for absolutely everyone! Why doesn’t the Developer listen more to the needs of the residents that want indoor pools, indoor basketball gyms, handball courts, more dog parks, etc? And, there are some that simply have gotten caught up in the emotion and excitement of visiting The Villages and purchase a home before truly assessing their needs. Maybe they later experience buyer’s remorse due to more affordable or possibly more upscale homes being offered elsewhere at what they perceive to be a better value. Or, they thought they could tolerate the housing density formula, but later find that they crave more wide open spaces. What actually works so well for The Villages simply rubs some people the wrong way. The restrictions, covenants, rules and regulations associated with living in The Villages simply rile some people up. They don’t want to be told what to do. Some may feel the Developer control is excessive — but please do keep in mind that the consistency and constancy of purpose coming from the long period of Developer leadership is what may in fact be behind much of the success of The Villages. Many people have personal experiences from elsewhere where a Developer turned over the ongoing maintenance and management of the development to homeowners who were not able/capable/motivated to lead; were not good planners; were poor budget disciples; failed to be good stewards of consistent standards; and were poor communicators/collaborators/team builders. To restate the point, one of the main reasons The Villages has been so successful has been the long growth period under multi-generational visionary Developer leadership. This continuous refinement of the Developer’s purposeful approach has delayed the tipping point where overbearing and misguided homeowner influence is wielded. The somewhat complex CDD arrangement has had time to embed — and is interlaced with strong ongoing Developer commercial investment influence (including the Developer’s extended family and friends network). This broad and deep political/commercial arrangement is part of why The Villages will more than likely provide a long term sustainable and supportive community arrangement, whereas other retirement communities around the nation may struggle to achieve adequate scale and sustainability. People moving to The Villages must accept that the Developer has been very successful, and has made substantial profits through a variety of mechanisms. This is not a traditional Construction Developer scenario where the Developer is in business to purchase land, build and sell homes in a development of limited scale, and then move on. People considering The Villages must also accept the demographics of The Villages. For example, first they need to truly understand that age-restricted is also age-segregated. The lack of young faces on the streets, except during vacation time, is part of an experience based on living with peers that share common generational interests and values. In some people’s opinion there are fairly narrow socio-economic population boundaries existing in The Villages. Also, political leanings are decidedly conservative in nature. The Developer is also staunchly conservative. Those individuals with strong feelings not “in the norm” will need to thoughtfully evaluate what this will mean to them if they move here. For many people, the enjoyment of all The Villages has to offer clearly outweighs the desire to be part of a more diverse and balanced community from a broad societal demographic perspective. If you were to move down a checklist that emphasized affordability, low crime rates, good weather, super clean and organized common areas, lots of active adult amenities, and a nearly infinite opportunity to meet people and make new friends, then you would be hard pressed to find a clearer alternative than The Villages. On the topic of scale, if The Villages was actually an incorporated city or town, the population of The Villages would rank number 28 out of the 411 municipalities in the state of Florida (2011). This size and scale wasn’t accomplished by accident. As a final thought, it’s been said that if you prefer neat and orderly The Villages is for you. If you prefer “messy” then it’s not. The term “messy” can mean different things to different people: not necessarily litter on the side of the road but contentious city council meetings; urban sprawl; strip malls on every corner; crime; traffic congestion (OK, I know in the winter months the golf cart traffic jams can be extreme); unpredictable real estate market dynamics; state, local, and even neighborhood politics negatively impacting your life; areas held hostage to the success of the industries and businesses prominent in the area; homeowners having the freedom to do what they want with their home and property; and living in a widely diverse socio-economic/political/cultural environment. Retire and buy elsewhere first; then move to The Villages? When you survey a lot of current residents of The Villages you learn something interesting. Many people moved to The Villages from some other initial retirement location, often right here in Florida. One possible explanation is that they simply didn’t know The Villages existed when they made their initial retirement location decision. But, often it is a mixed set of reasons. Maybe they approached retirement with limited data or embarked on a bit of a trial-and-error journey. Maybe the Phase I draw of the family and friends hampered their evaluation of Phase II/Phase III alternatives? Possibly they maintained their original homeplace and retired to the vacation home they purchased during their working years? At the time they purchased the vacation home they may have intended for it to be their retirement home, but now they have re-evaluated. Moving to The Villages for some people that already own one or more other homes may be problematic financially. Often their move is delayed until such time as they can sell the other home(s). Maybe the cost of living, the crime, the traffic, or the lack of age-appropriate amenities failed to satisfy. Or possibly the retirement choice included retiring to the lake but over time they found they never took the boat out; they chose to retire to the big city for the culture, but then didn’t go into the city; they retired to the beach but never went in the water; they went to the mountains but started to hate the winters and lack of socialization opportunities or amenities. Maybe they even chose one of the many limited size active-adult/age-segregated communities but they found that the limited size community took on an “age-in-place” dynamic where people progressively disengaged over time. Without new, younger residents moving in and keeping the community active, amenities fell into disrepair, new social clubs weren’t organized, restaurants closed or restricted hours, golf course maintenance suffered, etc. Concurrent with this deterioration, many also felt that it became progressively more difficult to watch many friends drift into inactivity, depression, and isolation. When people retired to diverse locations with lots of younger people they may have initially felt it would help keep them feeling (and acting) young — but what some realized is that many of the younger people had kids to raise and friends their own age that dominated their time. Many “second-timers” told stories about first moving to a “deluxe” planned development or country club community catering to retirees. Some of these situations failed to build out or even went into bankruptcy. Their property values fell, the amenities were never completed, and the population failed to reach a point where the neighborhoods were actually completed. They were drawn to The Villages because the build-out phase has been drawn out over such a long period of time in ways that has continued to demonstrate success and scale. From a vibrant age demographic perspective, the continued development and growth has yielded a tremendously dynamic, rather than static, community conducive to an active lifestyle; many literally attest to “feeling more alive and happy” in this environment. For many first time visitors to The Villages they are so impressed that they feel an urge to buy property quickly — they don’t want to miss out, and they want to quickly become part of the phenomena. If they have been consciously looking elsewhere they may be overcome by the feeling that “they’ve arrived” and there is no need to keep looking. But, don’t immediately feel like you need to stop into the sales office and start looking at houses with the intent to buy. Often your impulsive decision may lead you to buyer’s remorse down the road. It’s not necessarily that selecting The Villages will prove to be a bad decision; it’s just that your choice of home or location may not fit your actual needs versus your perceived needs at that time. Here is some advice: feel free to take advantage of the lifestyle program, but don’t buy right away. Rent for an extended period of time, if possible, so that you can really start to understand the factors involved in the home purchase. Make friends and visit their homes. Above all else visualize your everyday life in The Villages. Make the trips to the grocery store in your rental golf cart, join in activities at the local rec center, head down to the closest town square a few evenings, etc. And, read through the 50 Things topics a few times concurrent with the decision-making process that will unfold as you truly experience The Villages for an extended period of time. The 50 Things discussion is intended to help you “sweat the details”, not only associated with the initial home purchase, but with the sometimes never ending list of post-purchase projects that will unfold. There will also be some general topics covered along the way that will hopefully allow you to better acclimatize to life in The Villages. These secondary issues are often not thought about initially, but when discussed or discovered later may lead to confusion or angst. 1. Are you buying a home or a lifestyle — how do you plan to use your home? One of the first considerations when evaluating options is to look at your needs closely. How will you use the home? Are you coming to The Villages for the lifestyle, activities, social engagement, etc? Some people are never at home; they eat out most meals and spend their time on the golf course, the softball field, the pickelball court, or at social/club engagements. The home is simply a place to sleep. Some people want a nice home but don’t want a lot of maintenance and upkeep. Others plan to entertain a lot and need larger open spaces. Some may plan to spend a lot of quiet peaceful time at home and need to create a relaxing home environment. Many people can’t live somewhere until it fits their personality through lots of painting, decorating, landscaping and furnishing. What are your needs? The “trial run” rental or extended vacation approach will help you firm these up. If you are interested in buying something furnished and don’t plan any substantial personalization or customization projects after the purchase, you fit the category that allows for lower risk movement to another home down the road. If you need to customize and personalize, and plan on spending a fair amount of money transforming the basic home provided by The Villages, you may want to be much more careful in your decision making. Chances are you may invest more money in your home than you can get out of it if you sell. If you are one of those people that plan on making a thoughtful long term decision, and plan to stay in this home awhile, then by all means customize and enjoy. The neighborhood social scene should also be considered when buying a home. One of the most valuable aspects of buying a home in The Villages is the opportunity to develop new, lasting friendships concurrent with your move. Even if you have followed family or friends, or they plan to follow you, new friendships are surely in the making. If you decide to buy a new (rather than resale) home you shouldn’t underestimate the value and need to invest time and energy into leveraging the short neighborhood build-out phase as an opportunity to grow friendships. When homes along the street start to accumulate residents it is very important to engage in social opportunities and support organizational efforts like the formation of golf groups, book clubs, Flamingo parties, card groups, etc. Everyone is motivated at this stage to meet new people and make friends. Don’t let this opportunity pass you by. Coming in later and making friends can work, but not quite to the extent of forming up the neighborhood while everything, and everyone is new. Many people pick up on this dynamic and it biases them towards buying a new home rather than a resale. Note that new neighborhoods often attract other new retirees of similar ages with a like motivation to meet new neighbors. Since so many people coming to The Villages are seasonal or transitional, it should be noted that an erroneous assumption is often made by these new buyers that they will get around to making new friends when they are able to spend more time in The Villages down the road. While this is absolutely possible when new connections are made through social clubs and organizations, random meetings on the town square or the golf course, etc, relationships may be somewhat harder to form in the neighborhood where you originally bought your part-time home. Friendships and “cliques” may form up early and breaking into these groups down the road may be more difficult. Not to over-emphasize this point however, in general The Villages social dynamic is generally more “inclusive” rather than “exclusive” if common ground can be found, and if there is “room” available in the particular social group of interest. 2. Buy a new or existing home? This is one of the first questions you may ask yourself once you made the decision to buy. Due to all homes being Developer built, and most of the resales handled by the Developer’s agents, home prices are very stable, only moving gradually over long periods of time. New home sales currently outnumber existing home sales for a variety of reasons. While there are all sorts of tangible considerations associated with home style, landscaping, location convenience, improvements, etc you may not find substantial price differences between the two options. In general other factors will probably bias your decision. One obvious benefit of buying a new home is that you can customize it exactly to your taste without remodeling. But a benefit of buying an existing home is that you don’t have to live with months of dust, dirt, and inconvenience, and the cost of “finishing” your new home. The choice between new and existing will probably become clearer as you work your way through the 50 Things topics in more detail. The neighborhood friend-formation dynamic was discussed in #1. This consideration is often forgotten until it’s too late — be alert! I guess everyone thinks about this issue a bit, but possibly not enough. Don’t get caught neglecting this potential impact on home enjoyment and then either have to live with the consequences for years to come, or move. Everyone can understand the traffic noise if you decide to buy next to a busy road (don’t forget the substantial traffic pick-up during the peak winter months). Some roadways are busier than others. The multi-modal paths are major golf cart arteries. County roads carry truck traffic in addition to cars. Now, some allowances can be made for the construction traffic during new neighborhood construction, as most of this should go away or move to a maintenance-only mode in the future. If you buy a home with a neighbor backing directly up to you you may have considered the potential noise and privacy consequences of this arrangement. Some neighbors are better (never go outside, are respectful of others, don’t play the TV or stereo loud, etc) or worse (the other extreme, i.e. neighbors from H…!) than others. One thing you can’t absolutely be sure of is what type of neighbor you’ll have, not just now, but when/if the neighbor’s home changes hands over time. What are other sources of noise? Are you familiar with the railroad noises that pervade the west side of The Villages? The north-south route paralleling highway 301 is a major Florida rail freight route. Some people say this noise doesn’t bother them, and of course it is sporadic. Be aware that depending on the prevailing winds on any given day you may notice this noise to a greater or lesser extent. A possibly more significant noise issue has to do with the pickelball courts adjacent to the rec centers. The pinging noises can start very early in the morning and continue all day. Don’t assume that you will always be able to stay inside and avoid these and other noises. Our homes aren’t perfect in terms of blocking all exterior sounds, especially through the windows. I bet you never considered music to be a detractor? In The Villages we love our music. It’s even better if we can enjoy it while sitting outside enjoying a beverage or a meal. Besides the potential of a neighbor playing their music too loud, don’t forget about the music originating from the Town Squares or the occasional Country Club outside event (luckily most Country Clubs are respectful and understand the negative impact of loud music on their residential neighbors and don’t allow, or at least severely restrict outside music). If you decide to purchase close to The Polo field don’t forget the impact of the PA system sound carry. Noise can also originate from nearby commercial establishments. It might be traffic noise or even the HVAC equipment on the rooftop or adjacent to a building. Besides the noise factor associated with commercial developments, don’t forget that some commercial structures higher than a single story may impact some views. This is especially troubling when residential areas are developed before the commercial ones are completed; and the actual commercial development is different than what was envisioned by the homeowners. Here’s an aspect that many people completely miss. Light “pollution” can come from a street light or neighboring structure, but also can occur from car and golf cart headlights, depending on the street arrangement and home living space orientation. The worst situations can occur at busy intersections with evening traffic making frequent turns. As vehicles turn, the headlights “sweep” the houses in their path. If you intend minimal window treatment this could lead to a distraction after purchase. Odors can be a problem if you purchase downwind from one of the sewage treatment facilities interior to The Villages. This isn’t always a problem in that they do a generally good job of managing this issue, but it is something to consider. Also, the many retention ponds around The Villages have greater or lesser amounts of circulation (most are interconnected with others in ways that allow for level control and optimum irrigation storage). When a pond is fairly stagnant, and plant/bacteria life gets a bit out of control, odors can be a problem. Be aware that sales agents aren’t always well versed on these types of issues, and aren’t necessarily required to disclose a range of negatives when showing you lots/homes. Remember, they act as seller’s agents, not buyer’s agents. 4. Type and size of home? • There may be a desire to substantially downsize when moving to The Villages. They were tired of maintaining a big home and yard and they had no need for the room required by an expanded family. However, later they may find that they downsized too far. They may find there just isn’t enough room and they feel claustrophobic, the garage is too small, there’s no room to entertain, it’s hard to accommodate guests, they want more hobby or office type space, or they need more buffer space between the neighbors. These folks often change homes to get something larger. There’s a rule-of-thumb; never downsize more than 50%, and even this sort of change can be too much for some. • They decided to buy a large home because they had cash out of their prior home sale, they wanted to have room to entertain, they wanted to have plenty of space for the kids and grandkids, or, some won’t necessarily admit it, but they wanted the prestige of a larger home. Then, once they maintained this large home for a while, or their health fails, or the kids and grandkids stop visiting as often, they decide to move to something smaller. • Some may find where they first bought has started to undergo a bit of a demographic shift. They want to move to a “younger” neighborhood so as to stay as active as possible by enjoying the things their new neighbors enjoy. Or, it could be that for whatever reason they just don’t like some of their current neighbors. Sometimes people issues alone can force a move. • They worry about their home value in an aging neighborhood and want to sell before it’s too late. I think this reason is a little bit of a hand-me-down from past moves in past housing markets in previous locations. But, it still goes on, especially if there is a bias towards managing an inheritance legacy. • Maybe they made an initial home purchase mistake and chose the wrong location, house plan, etc. This one happens more often than you would expect. This one can be minimized by thinking through as many issues as possible before buying. The more thorough you are in your decision making the better chance you’ll have in making the right decision the first time. It would be worthwhile to get out a piece of paper and create a list sorted into must-have and nice-to-have columns. Also list the constraints and issues preventing you from satisfying all of the musts and wants. It may be more than just money or first cost. If you buy something that is more affordable now but then later you spend lots of money trying to alter it to suit your true needs and wants; or if you have to suffer through a sale/move so you can undo your past mistake; then ultimately the lack of thoughtful decision making may cost you more than you saved initially. The pencil and paper exercise needs to have more than just three things listed — a full page of factors shouldn’t be considered unusual. Those that are so inclined can use a spreadsheet and actually use a weighted number decision-making approach. If this approach doesn’t fit with your personality type or abilities, think about soliciting the help of a family member or close friend to facilitate the exercise. Don’t be too proud and not ask for help — the decision-making process is just too important. One of the first decisions you’ll make beyond location, floor plan, etc is whether to purchase a CMU (concrete masonry unit or block)/stucco or a conventional frame/siding home. Note that a few homes and Villas are now being constructed utilizing formed-in-place concrete walls instead of block. There is a slight price premium for stucco homes. Some people choose not to pay the premium, like the looks of siding (a couple of choices other than vinyl are being offered), feel the frame home may be better insulated, or don’t worry about whether storm damage could be greater with a frame home (note building codes are strong, we are in Florida after all, so this might not be a significant consideration) — or simply don’t care since the home is insured in the event of a loss. So, go ahead and make your choice for one or the other based on your feelings about the differences. Either of these home choices are fine. Here’s a general comment about our home quality. Some people feel our homes are superior, others inferior. I would say that they are of average quality, consistent with an affordable quality level. Most of the materials used are of “builder’s quality”. We probably pay a slight premium over what the same home would cost us elsewhere, but we don’t really have a choice — if you want The Villages lifestyle, you buy a home designed and built by the Developer’s organization and contractor network. 6. Want a home with an upgraded interior? — buy a basic home and remodel, or upgrade through The Villages at the time of purchase? This one can go either way. First, you may not like the upgrade options offered by The Villages Developer sales/design/construction organization, and you find that you can’t do anything to change the situation. Or, if you are able to actually ferret out the actual incremental cost of the offered contract upgrades you may find that you can actually remove/replace the carpet, tile, flooring, cabinets, appliances, countertops, etc. after the closing for a minimal or at least a manageable cost penalty; plus actually get exactly what you want. Note with appliances you may be able to do some change-outs/upgrades if you do this after closing but prior to using the appliances — check this out with the appliance supplier for your particular home. So, some people actually like the upgrade options offered by The Villages, don’t want the mess and inconvenience of the retrofit project(s) after the closing, or are just fearful of managing all of the coordination, time delay, and contractor hassles after the fact. Others know what they want and jump into the alteration projects with energy and tenacity after the closing, or plan the upgrades out over time. There are quite a few people who fail to adequately consider the lot size and/or how the home chosen will be oriented on the lot relative to setback and easement restrictions. Even though you may initially feel no inclination to add on an addition, a birdcage, etc, many people are later disappointed when they decide to pursue an add-on project but can’t proceed due to setback and right-of-way restrictions. For example, an interior lot and home may be arranged so that there is only ten feet from the back of the home to the rear property line. You can’t build any permanent structure in this ten foot zone, so even those that want to add on a small birdcage can’t do so. On the sides of most homes there is a five foot property line setback restriction. 8. Be sure to think about accessibility to town squares, shopping, major thoroughfares and roads, etc. When choosing your home location be sure to think about how easy it will be to travel via car or golf cart to your destinations of interest. Even though all neighborhoods may have conveniently located recreation centers, pools, and mail stations, you may find it quite a trek to drive your golf cart to the grocery store, drugstore, favorite town square, restaurant, etc. Some locations are somewhat remote to major artery streets so it may be quite a little journey just to get out of the neighborhood. Of course if your home is too close to a major thoroughfare you may be substituting convenience for privacy, noise and distractions. It’s something to think about. 9. Home orientation: face north, south, east, or west? Many people fail to consider the orientation of their homes relative to how they intend to use the outdoor areas. Do you plan to spend a lot of time on the Lanai, or birdcage area? Some seasonal residents prefer to have the back of their house facing south, or maybe west, so they can use their outdoor areas to a greater extent during the cooler winter months. Other full time residents may want their primary use outdoor areas facing north, or possibly east, so they are able to find some shade during the heat of the day and/or primarily enjoy the morning sun. Or, they may want to bias to the west to enjoy the sunsets even though the hot afternoon sun can be a challenge. Be sure to think about the arc of the sun both in summer and winter. You’ll note that in many cases awnings, shades, or enclosed Lanais using heavily tinted windows will need to be used later to address sun/shade/usage patterns not initially considered during the initial home purchase. 10. Do you want to live on a golf course? • Do you want to live on a tee box or next to a green? Talk about lively conversation, it can sometimes be quite colorful. If you have your outdoor lanai or birdcage area very close to a tee box or green you’re likely to hear lots of chatter, golf cart noises, and grounds maintenance noises. You might even want to think about the fact that the grounds keepers may chose to cut the grass in the order the golfers will start teeing off in the morning. #1 will be cut before #2, and so forth. The noise can start quite early. • If the fairway is narrow and the homes are fairly close to the fairway, be cautious of living anywhere within range of shots off of the tee. Normally the worst location is 150 to 200 yards from the men’s tees on the right side of the fairway (further for the big hitters). This is where the balls from the right-handed slicers go. But, with our senior golfers in The Villages this could be really anywhere from 150 yards on, and either side (pulls and hooks go left for the righties). You may want to drive the course in your cart and simply think about what kind of shots you’ll be exposed to from the less than perfect golfers. If you do decide to purchase one of these lots you’ll get lots of free golf balls, but you’ll also have golfers coming into your yard. You may have a few broken windows and damaged roof shingles, and if you put up a birdcage you’ll have to opt for the heavy duty screening. • Watch out for cart paths. If you back directly up to a cart path the traffic can be noisy and privacy invasive. • Be aware of restroom locations, maintenance buildings, pump houses, etc. These can turn out to be odor sources and traffic distractions. • Sprinkler overspray, fertilizer, herbicides, etc can often be carried by the wind and end up in your face on the Lanai if you’re close to an area heavily turf managed. • Don’t assume that all golf course grounds upkeep is equal. On a lot of our courses there are buffer areas that are actually non-golf course property. These adjacent areas are maintained to different standards than the golf course fairway and rough areas. • Some of the golf course views are great in The Villages, especially the elevated ones. Just realize that for every perfect lot there are many others that are compromised in one way or the other, so chose carefully. • Having pointed out a number of concerns, on a positive note this is one of the best ways in The Villages to get a little additional privacy from your neighbors. Of course, “privacy is at a premium” in The Villages and the lot premium will often substantially increase your home purchase price. 11. Surely we can get some minor changes made to our new home during construction? The story plays out over and over again — the buyer wants to get an extra electrical outlet added somewhere, get a rough-in for a future summer kitchen addition, wants to add some extra lights in the garage, etc. etc. The Villages Developer organization has decided that it doesn’t want to manage small changeorders of this type. Therefore, you’re left with making changes after the closing, often with some degree of difficulty. Some stories are told about little side deals between buyers and subs on the jobsite, but often the subs are chastised by The Villages/general contractor builder if they find out this is occurring. Note that at any given point in time there is a very limited list of approved builders and subs being used to build homes. The builders and subs don’t want to do anything that jeopardizes their ability to be on the qualified (low price plus Developer “trusted friend”) bidder list. It’s frustrating, but you have to understand that the homebuilding monopoly operates like production home builder processes elsewhere — take it or leave it. Be aware that home specs and option packages continue to change in response to buyer’s needs, and The Villages policies. Ask lots of questions before you close, not after. Be especially aware of the major “stretch” options that are offered with some home plan and lot combinations. 12. How much should I budget for projects after the closing? I know some people that bought their new home with the expectation that they would spend very little money after moving in, with the exception of maybe window treatments and a few new furnishings. After all, they have a bright and fresh new home, the yard and landscaping is complete, so all they have to do is unpack and hit the golf course or pickelball courts — right? A few people have their home expectations calibrated to this level, or they don’t feel the need to spend more money to alter or personalize their home. After all, some feel they just need a place to sleep — all the fun is outside of the home. However, there are more people that fail to properly plan for the personalization and customization phase that seems to routinely follow the initial home purchase “honeymoon period”. The reasons vary, but often new homeowners find things they don’t like once they live in their homes awhile. Often the list grows and grows with lots of small follow-on projects being completed over time. Believe it or not, the post-closing projects could cost a minimum of $5,000 all the way up to half of your home purchase price in extreme cases! OK, maybe the high end is reserved for substantial building additions, major pool projects, etc., but believe it or not, it can add up. You can see how the list can grow and grow. And, you may also want all new furniture! Resales may be less burdensome if the previous homeowner has already completed a number of these projects to your liking. If so, you get to benefit since the original owner will seldom be able to recoup 100% of their improvement cost. 13. Add birdcages, summer kitchens, spas, pools, etc to your home purchase, or add later? It might be attractive to “one-stop-shop” for all of the features you desire as part of The Villages sales contract, but be aware that you may be better off handling it yourself later. If you contract after closing you may save some money and you may get to influence what you get for your money. But, having said that, contracting for anything other than the most basic project, say a simple birdcage area, can be much more difficult than you might first imagine. There are limited choices of contractors for pools and spas, and summer kitchen design options often lack vision. You can get really nice projects completed, but these will be directly related to your own ability to do the work necessary to visualize, communicate, and negotiate with the few (truly qualified) contractors able to perform the work. Pay particular attention to whether the contractor uses architects or engineers to design the project. Some are able to get a building project with minimal documentation and simply engineer-on-the-fly as they go. Things like adequate electrical outlets, lighting, hose bib relocations or additions, matching original construction materials and fixtures, paint quality, roof shingle match, etc is often not optimum. For certain needs and budgets the convenience of adding it into The Villages purchase may be attractive to some people. Some people explore all sorts of building addition projects after the closing. It’s strange, but it seems like every individual construction project you get bids on comes back with a price of $30,000. Not really, but you will be surprised by how much it does cost to add a small room addition, summer kitchen, bathroom, etc. It defies logic; you paid maybe $125 to $150 a square foot for your home new so why does a simple building addition price out at multiples of this new home unit cost. Sometimes the bids are valid, other times they may reflect the ability (or inability) of a given contractor to properly design, engineer and estimate your job. Pick your contractors carefully – there is quite a range of professionalism across the contractor network. Lots of questions and discussions with friends and neighbors, checking out referrals, etc. will be necessary or you may pay more than you should. Note that on professionally designed and engineered large commercial and industrial projects, bids may come in within 5% to 10% of each other. Bids for small construction projects around The Villages can vary by as much as 100%!! Shop wisely! 15. Your project will be completed in a quality manner in 60 to 90 days — don’t bet on it! Most contractors never seem to complete a project when they say they will. The way it often works is it takes longer than it should to get a bid, and then it takes at least 30 days to get the building permit and ARC (Architectural Review Committee) approvals. After the approvals the contractor may in fact move onto the job and start a little work. Then they seem to disappear for days on end. The saga will continue and sometimes it’s 6 months later when you finally reach the end of the turmoil (believe it or not there are reports of some projects taking a year!). Often contractors overcommit and under-deliver as they spread their resources across multiple jobs. Many small contractors do little work themselves so they are always at the mercy of other subcontractors, who are also probably spreading themselves too thin. Good project planning, organizing, and project management skills are lacking. Just be prepared for this situation to play out if you decide to tackle a project. If you actually get your medium to larger projects completed in 60 to 90 days consider yourself to be very lucky. Smaller, simpler jobs like a straightforward landscaping job, on occasion, can and will be fast tracked. Here’s another reality. You really can’t absolutely “trust” that a contractor will perfectly perform the work as required/intended. I know you feel that since you are hiring a legitimate contractor everything will be done correctly and you can simply head off to golf, pickleball, or tennis. I’d suggest that if you aren’t able to “sweat the details” ask a friend who has some construction experience to advise and inspect a bit. Too many times a project progresses with shortcuts taken, mistakes made, or often details are left out that will enhance your use of the project down the road. It’s not that you need big sets of drawings and specifications for your project, but it would be helpful for you to write out what you want in some detail and provide this to your bidders – maybe no more than one or two pages would be required. You shouldn’t trust someone who gives you a one sentence bid proposal, runs their jobs without supervision-planning-coordination resources, and acts defensively when asked questions about the bid scope, progress, or work quality. Get this type of knowledge from others who used this contractor and who actually provided lots of customer oversight. 16. Why no Angie’s List? For those of you not familiar with Angie’s List it is a “Consumer Reports” of local contractors and service providers. It started as a simple basic subscriber funded (no ads) printed booklet that came out monthly. Now it has gone web based. Unfortunately, in The Villages we must depend primarily on word of mouth, blogs, the Home Warranty Department and Seniors vs. Crime (an volunteer organization that helps keep track of fraud and crime directed towards senior citizens) etc. We need something better, but for now, definitely check out Seniors vs. Crime, get multiple references, check out other jobs performed by the same contractor, etc. And, definitely do not give any contractor money up front. On some large projects progress payments may make sense. If you’re not absolutely sure about this contractor and/or the job is substantial, you should require lien waivers to make sure the contractor is paying his subs and suppliers. It’s a little sad to say, but some people recommend sub-standard contractors. The contractor may have finished the work for the price quoted, generally on time, and may have been courteous. But to the educated eye they may have cut corners, used somewhat inferior materials or methods, or simply not performed at a quality level commensurate with a craftsman level of quality. It may be OK, and in fact may be all that is really required to meet the needs of the homeowner, it would just be better if this level of quality were put into the context of average or mediocre quality so the homeowner understands what they got for their money. 17. Should you enclose your Lanai? This may be worth considering even though you initially may feel that part of the reason to move to Florida is to enjoy the outdoors. Unfortunately, there are only a few totally perfect days from a temperature/humidity/wind perspective, at least at all times of the day. Also, the wind seems to come from a different direction every day so the Lanai space and Lanai furniture suffer from dust and blowing rain. If you truly want to enjoy your Lanai space you may want to consider a range of improvement options. Chances are, once you complete one of these projects you will find that quiet time on the Lanai may exceed the awake time spent indoors. You may also find that you’ve gained quite a benefit in terms of entertainment space. If you think you might be one of the people that enjoy this enhanced space then maybe stretch your thinking and finances just a bit so as to get maximum benefit. Some people prefer to structurally enclose the space with window walls of some type, raise the slab, install flooring treatment, and install heat/AC in a manner that results in the Lanai space actually becoming part of the entire home. Some of these projects even include removing the sliding doors between the house and the Lanai. Other people may choose some sort of sliding window or door arrangement that allows the space to be opened up as desired (with screens or a birdcage serving this purpose). Part of the decision-making equation might be related to size of the Lanai and your view, or lack thereof. Possibly some “back-to-back” interior homes may benefit from noise and privacy isolation benefits resulting from an enclosure approach, with limited benefit coming from view access. Most people that have done the minimum — say using acrylic windows only without HVAC provisions — get some increased use of the space, but not necessarily energy efficient full use. Others using insulated glass window/door systems and “mini-split” heat pump wall or ceiling mounted systems will get good flexible use of the space while still preserving a lot of the outdoor Lanai space look and feel. There may be property tax considerations associated with some projects. These re-assessments will occur in conjunction with the building permit process. For some options there are mid-level project approach compromises that may avoid increases in property taxes. Be aware that existing or new summer kitchen options may be limited when enclosing your Lanai due to exhaust ventilation issues. 18. Home Office — do you need one? Just an idea here; lots of folks take one of the bedrooms and turn it into a multi-function room and/or office. Ever notice how disorganized some of these can look? And, when you have guests you have to make some compromises to arrange the room into a bedroom. Maybe you like the large desk with computer, letter trays, printer, etc. Maybe you’ve always had some sort of office in the past? Maybe you feel it is more important to have a space for you and not for your infrequent visitors? Maybe you even plan to increase the functionality of this room with a TV and/or music system so that it becomes an extra family room? I bet in many two-person households both people seldom watch the same TV shows at the same time anyway, so maybe two actual family room settings are required? Here’s an opposing point of view. Toss out your past opinions about the need for a separate office. Get one or two laptops, iPads, iPhones, etc. Use them as your primary “computer tool”. Pay your bills on-line or use direct debit approaches. If you streamline these routine tasks ask yourself how much office space you really need. Install a wireless router and do your computer oriented work anywhere in the house or on the Lanai. Why stick to old habits and sequester yourself into a room; enjoy your time in Florida by enjoying the bright and airy Lanai space, your breakfast nook, or some other non-traditional office area. Stash your filing cabinet in a closet for your paper records. Or, with the growth of electronic billing and recordkeeping you may find that you need very little file space after all. Special purpose hobby rooms, exercise rooms, etc., may be another matter. It’s all about priorities. Just arrange and use your room spaces in ways that fit your new habits and lifestyle, not necessarily based on what you thought was necessary before. 19. Do you want a pool and/or spa? To many, coming to Florida means you have to have a pool. OK, it may be neat, but be sure to fully weigh all of the operating, utility, and maintenance factors first. And be honest in your assessment of how much you will use it. Even if you want it for the grandkids, keep in mind that there are plenty of rec center and country club pools close by. It won’t be unusual to tie up $30-$50k+ in a pool and birdcage project. The areas for a pool are generally too small for diving and lap swimming, so it really turns out to be a place to jump in, splash around, maybe float around, and cool off in the summer. A pool does offer an aesthetic benefit, especially with an integral water feature. Note that pools can often hurt rather than help a resale. It may be hard to recoup the investment, assuming resale is a consideration. Having said all of this, if you want a pool, love what it does to complete your home, and can afford the ongoing maintenance and operation costs, by all means get one. In lieu of a full sized pool one option is a drop-in or custom built swim spa. These are smaller than pools and offer the option to exercise against the currents generated by high flow pumps. In lieu of, or in conjunction with a pool, a spa/hot tub may be more beneficial. The space requirements and cost are more manageable, and for some the usefulness is excellent, especially for those that benefit from the therapeutic effects. If you decide on a spa/hot tub there are in-ground and above ground options. One unique approach is to use an in-ground vault and an above-ground spa dropped down below grade into the vault. This option gives you a premium spa with substantial energy conserving and performance enhancing features. No underground piping/pump package is required but maintenance accessibility arrangements may be somewhat challenging and should be thoroughly analyzed. If you like the look of water and water feature sounds you may want to consider Lanai/Birdcage landscape and fountain options as an alternative. The suggestion here is to consider a range of options. You can purchase small fountains with integral pumps or have custom ones designed and built to fit your desires. 20. White walls – don’t fight it guys, just plan on painting! Let’s face it; the homes in The Villages are pretty basic and offer little in the way of personality. Sorry, they just aren’t architectural masterpieces. In many cases they’re downright boring (sorry, Villages’ design team). Just accept that the fact that most of you will have to personalize your home to some extent to make it livable. The only exceptions are the part-time homeowners that are seasonal residents where their personalization satisfaction quotient has been satisfied at their permanent home (or 2nd home) elsewhere. Or, you are a person that is totally happy with a nice clean white/off-white wall approach. Note that there have been some shifts in The Villages color options over time so you may be happy with the choices currently offered by The Villages. Still, you may want accent walls, borders, multiple color choices for different rooms, faux wall paint choices, etc. that are not part of The Villages option packages. Maybe one spouse is against re-painting and tries to overrule the other. A better approach is to just end the debate and accept the fact that the home will look better with some soft colors, accent walls, etc. Get some professional advice first and/or get ideas from lots of your neighbors. Paint anytime, but obviously a good way to go is after the closing but before you move in. Trust me, your home will look better if you are surrounded by color choices to your (and possibly your decorator’s) choosing. In most cases all homes in The Villages look better with crown molding. Use something like 5 ¼ inch for 8 foot ceilings and 6 ¼ inch to 7¼ inch sizes (or double arrangements) where you have 10 foot ceilings. There are lots of subtle differences when considering MDF or Wood, the style of the molding, whether the joints are coped, glued, caulked only, etc. In general, avoid the hurry up/get it done contractors. Get multiple bids and referrals. This is another project that is best if performed before you move in, possibly in conjunction with the painting project. Also ask your contractor whether they plan to use the trim paint used in original construction or something else. This is one where you may be happy with the lowest bid and/or the fastest contractor. However, if you aren’t careful you may end up with a job that has nail hole dimples, corners that open up during winter months, splice mismatches that you start to notice later, excessive caulking used to cover up mistakes and generally hurry-up poor finish approaches. You may also like chair molding, box-out areas, wainscoting, window and door trim, special column trim approaches, etc. It all depends on personal taste, your decorating biases, home style, etc. Often people think they can live with the homes as-delivered, but ultimately they have to add a wood trim look that is more in keeping with what they’re used to. 22. Plantation shutters, blinds or various fabric window treatments? I know it’s tough to make a costly decision like choosing plantation shutters or expensive drapery arrangements early. You want to move in quickly and your windows need to be covered for privacy. Maybe you feel it necessary to simply hang some blinds for privacy and light control. Just don’t assume that since blinds can perform the job that you’ll be happy with them in the long run. In our homes the windows are generally not very attractive. There may be an aluminum window placed in an opening without any face trim. They just don’t look finished. You can add wood trim, but if you like the looks of plantation shutters why not just add them at the start and you’re finished? They have good light control characteristics plus they block less light when open as compared to blinds. You will come to realize that outside light in most floor plans is at a premium. Windows are minimized with our homes primarily for energy conservation purposes. Also, with open floor plans perimeter windows just don’t always flood the interior spaces with adequate light. Get ideas first; don’t jump in with one approach or the other without thinking it through. Be careful of construction quality with your choices, all plantation shutters and/or blinds are not created equal. Of course curtains, drapes, toppers, panels, etc are all options available for use. The fabric can soften the room and add color/interest. As mentioned, natural light is at a premium so be careful that your fabric choices don’t excessively block valuable natural light. Many people add skylights/solar tubes later in a way that brings in additional outside light. 23. Landscaping upgrades — surely this one is simple, right? This one can be frustrating. For one, you think that since you’ve moved to Florida you can now enjoy tropical plants in your yard — but wait, we get below freezing weather that wreaks havoc on a number of popular tropical choices. Queen and Robellini Palms for example often end up being damaged by freezing temperatures. Then why plant these? Customers like them, the landscape nurseries push them at popular prices, or possibly it is just a case of poor professionalism on the part of the landscape contractors. Now, add in all of the restrictions on water and you now have limitations based on both cold hardiness and drought resistance. The Villages is doing a good job of providing some basic drought resistance/cold hardy landscaping with the homes, but the look may be a bit repetitive and boring. Some people leave the yard alone, others upgrade substantially. Just be careful and do your research before proceeding. The turf grasses used in our area have a tendency to develop runners, unlike some of the northern varieties you may be familiar with. To help control these from encroaching into your plant beds some sort of edging or curbing may be required, unless you chose to control by hand weeding and/or Roundup spraying on a regular basis. Edging and curbing, or decorative approaches like Hacienda block, flagstone, stone, etc. can also provide attractive definition between the grass and the beds. Nothing is perfect, though, and some approaches will facilitate easier mowing and edging. Don’t just assume that your landscape maintenance contractor will be able to keep your yard looking great based on a bad edging approach. Now, what about mulch? The pine straw used by The Villages is environmentally friendly and easy on the plants, but it will require renewal at least twice annually. Various forms of bark and mulch can look pretty good, and aren’t hard on the plants, but be aware that in heavy rains the bark or mulch can literally float out of the beds into the yard. Also, periodic renewal will still be necessary. Rock with weed-mats underneath can and should be the lowest maintenance option over the long run. The heat and moisture absorption might be harder on the plants but, as you will notice around The Villages, plant life seems to thrive in these beds without much trouble. First cost will be higher for rock, and as time goes on weeds will start growing as organic materials start to collect in the rocks and on top of the weed mat. There is no one single answer, just understand the differences and understand that no solution is perfect. I believe that price often dictates the choices most people make relative to choosing a landscaping service. This approach can work, or not, based on a number of factors; unfortunately one of these is luck. There are both reputable and definitely “fly-by-night” contractors operating in the landscaping business. Some don’t even operate out of a pickup truck but out of the trunk of an old beater car. One of the big deficiencies you may run up against is the lack of design capability. You may want to shop around for someone you can work with to provide you a design for a separate price, including a bill of material and site planting plan. You can then bid this plan out to multiple contractors, often at substantial savings. There is a shortage of landscape architects in the yellow pages so you may have to search to locate this type of service. Often the best design services from nurseries and contractors also come with the highest price tags for a complete package. They often force you to contract with them for the services if they prepare the plan. A fair price for a good plan may only be $200, but you may be paying literally thousands of dollars more for a project by going with the nursery/landscaper that prepared your favorite plan. If you could separate these two things you might come out ahead. You might even want to perform some of the work yourself by planting certain plants and shrubs later. I’m not sure why The Villages continues to have the irrigation contractors install the raised pipe spray heads in the shrub areas around your house. They waste water, can stain the walls of the house, blow mist onto the windows, etc. A better way to go is to have a dedicated drip system. It will require a filtered supply, but this is an easy conversion, especially if you combine it with a landscaping project. There is a little maintenance required to keep the filter clean, and the small orifices in the drip stakes can become clogged over time. These two issues may prevent some from using this approach, but if you want a better way to water shrubs, plants, trees, and pots on a patio/birdcage area then you may want to consider this approach. You can easily add more plants at a later date. It’s really nice to not worry about your plants during the hot summer months. There is no restriction on the frequency of the drip zone operation because this approach saves water compared to the raised heads. Many people have these set to run a few minutes every other day, or every third day. 26. Cut the grass on the same day each week in your neighborhood? Lawn maintenance standards? When sitting on your Lanai you may be bothered by the neighbor’s yard being cut. An idea some streets have latched onto is working at getting one or two primary lawn care services to perform their work on multiple homes all on the same day. Often the attractiveness of moving from one home to the other down the street will provide a strong incentive for competitive pricing. The best time to get this going is when the street is new because once homeowners go their own way it will be nearly impossible to get individuals to change their favorite lawn care service habits. If you actively work this approach it is suggested that you work on a single, double, or even third tier of pricing, quality, and service. For example some homeowners prefer that their yard be cut with a walk behind mower. Others want frequent pruning and bed weed maintenance. Others may want fertilizer spreading services independent of the large pest/lawn care services. It may be difficult to find one service provider that will fit all needs — maybe you have to split the work across two firms? It won’t be perfect, and some homeowners will prefer to do their own, and if the service quality wanes without correction, the idea can fall apart. This will only be successful if someone takes the lead and aggressively deals with quality and service issues for the benefit of all. If it works out you may have one of the most attractive streets in The Villages. 27. What about lightning protection? Is it the same as “surge” protection? We get a lot of severe weather and lightning in our area. You need to be aware of this severe weather reality as contrasted with where you last lived. If lightning strikes your home it could very easily catch on fire and burn. We have great fire departments with fast response times. However, if you want to help protect your house from a severe lighting strike there is really only one way to go, you need to install an LPS (lighting protection system) made up of properly engineered lightning rods and properly sized cables and ground rods. Watch out for “fly-by-night” contractors. There are only a few that are properly qualified. Will you get a break on your homeowners insurance? Probably not much, if any at all is provided. It is really just another form of insurance and you’ll have to decide if you want the extra protection or not. Most homeowners don’t pursue it due to cost, aesthetics, don’t want the roofing integrity to be compromised, or feel that if their home were to catch on fire from a lighting strike that their homeowner policy is there to help them with the repair/rebuild cost. What are the odds? Total home loss odds are minimal, but are higher here in central Florida than elsewhere. Surge protection (TVSS or transient voltage surge suppression) is something different. This protection is aimed at electrical/electronic appliances that could be exposed to high voltages coming in on the utility entrance cables (electrical, phone, cable). There is even a chance internal surges are generated when large appliance motors are switched on and off inside of your home. The primary source of voltage surges occurs when an overhead line is struck by lightning somewhere upstream of your home and a voltage surge goes through the local transformers and distribution network, ultimately reaching your home. Utilities “bleed off” the largest portion of these high energy lightning strikes, but sometimes a voltage spike less than the “bleed-off” threshold can get through their system and damage sensitive electronic devices in your home. Also, there could be a ground strike near your home causing underground utility lines to pick up the voltage surge and carry it into your home. The best protection is a combination of a whole-house surge protection installed on the utility company meter base or at your service entrance breaker panel (wire length is important) plus secondary individual plug-in surge protection devices at your TV’s, computers, irrigation system, garage door operators, stereos, etc. There are also devices that are able to be installed in-line on your cable and phone lines near your service entrance location. If you use an electrical contractor, shop around and ask some leading questions. Another simple and good option is to work with the utility company. They have lease or buy options at reasonable prices. You may very well chose to forgo the cost of an LPS system, but everyone should install surge protection. One final note, if you purchase a home with natural gas appliances or heat, make sure to ask about the type of gas lines that may be running through the attic space. Flexible gas lines have been found to rupture due to arcing in the event of a lighting strike. LPS/lighting rod systems are even more beneficial with this type of gas line installation. Note that some homeowners have chosen to replace their flexible gas line installations with the more traditional rigid steel piping. You may find gutters only on the front of the house — why is this? Gutters and downspouts are popular and often considered necessary on the homes where basements are prevalent further north. You don’t want water moving towards the foundation and/or overloading the perimeter drainage system surrounding your home’s footings and basement. In Florida the homes are slab-on-grade and as long as the yard/plant beds are graded to carry water away from the house you should be fine. Also, the soil is generally fairly sandy and well drained. Finally, the water can be beneficial to your perimeter plantings. So, install gutters if you like; they are very reasonable and there are a number of competent contractors. Keep in mind that if you want to one day add a birdcage onto your home a “super gutter” will be part of the installation, so if you decide to add gutters, you may want to hold off in the areas where you intend to add a birdcage. There appear to be two schools of thought relative to the covenants and restrictions in The Villages. Some folks prefer strict rules and strict enforcement so as to keep uniform standards of appearance, order, cleanliness, and maintenance. Others just can’t understand what the big deal is with storage buildings, lawn ornaments, house paint colors, etc. It seems to infringe on their free will. The simple fact is you are choosing to buy a home in a development with strict covenants and restrictions. They are actually much looser than many communities, so they shouldn’t be too overbearing. North side areas don’t have exactly the same rules as the newer neighborhoods because the Developer learned along the way that a tightening of the rules was needed. Note that enforcement has been spotty until recently when new procedures were developed to levy fines on chronic offenders. There’s also a tip line to let folks “tattle on their neighbors”. 30. Architectural Review Committee approval of landscaping and building projects – required or not? Some people may or may not know there is a committee that is chartered with approving any changes to the exterior of your home, including landscaping plans. A request form is prepared by either the homeowner or a contractor, along with a sketch or plan. This form is submitted to the ARC and an approval/denial comes back, most often with minor suggestions for changes. Some contractors are better than others about forcing this procedure to be followed. Some ignore it and don’t even mention it to the homeowners. Can you make changes without getting approval? The short answer is yes — but you are taking a risk. If you make changes that are out of compliance you run the risk of someone complaining/reporting you. If the revisions you’ve made are out of line you could find yourself in the middle of an appeal, letter writing exercise, legal action, or non-compliance negotiations with the “powers that be”. It really pays to understand what is and isn’t acceptable so that if you even do a small project yourself you stay within the rules in the event someone reports you later. The guidelines are all purposeful and well intentioned. They are focused on consistent appearances and/or environmentally responsible practices. Our utilities charge competitive rates, but on a per unit basis they aren’t a bargain. Many people are surprised though at how low their utility bills are compared to their previous home. This can often be explained by the fact that your home is smaller now and/or due to our moderate climate. The energy used to heat and cool your home is a function of the average temperature in your home compared to the average temperatures outside. The less the internal/external averages differ over time the lower the utility bill. There are some nice times of the year here where you can open up the house and enjoy the outdoor conditions inside without needing to run the furnace/AC. Our homes aren’t super insulated, especially the walls and windows. But, our homes meet normal building codes and are “OK” based on need. You probably won’t get a payback on your investment by spending lots of money on additional energy saving projects. Obviously controlling the temperature, limiting the amount of hot water used, using energy efficient lighting, turning off appliances when not needed, etc. will all help. By the way, supplemental solar heating of pools and spas probably makes a lot of sense if you use these a lot and like warmer temperatures, but photovoltaic electricity generation doesn’t generally offer a payback due to still high first cost plus the lack of adequate government and utility incentives. The regulatory climate compared to the cost equation just doesn’t equate. Maybe someday it will? Of course if you feel passionate about the “green” aspects of the matter, then go ahead but carefully “run the numbers” and consider all options including lease-back options. 32. Garbage – recycle or not? Many people come to The Villages from areas where landfills are/were nearly full and a good community recycling infrastructure was in place. You may also be a person that feels passionate about the environment and want to do anything possible to protect it. , For you, recycling is absolutely something you want to do. What’s the situation in The Villages? Several years ago vocal residents encouraged The Villages to get a recycling program started. Our garbage collection is contracted by The Developer to a private company in a sort of open-book negotiated arrangement. A program was established to pick up recyclables once per week. What is and isn’t recyclable is covered in a guide in The Villages phonebook. Clear garbage bags must be used, not opaque or white. The recyclable waste is transported to a waste segregation/recycling center in Orlando. The regular waste is transported by truck all the way to a landfill in Georgia! The Villages/waste contractor pays one tonnage fee for general waste and another fee for the recyclable waste. The disposal cost is less to dispose of the recyclables but is not a money making operation, if you will. Still it is an overall benefit to The Villages, the homeowners, and the environment. Certain waste products, like aluminum cans, are very high value. Other products are lower value, and in some cases shouldn’t really even be included in the recyclables. Not all plastics for example are the same; in fact it’s pretty confusing. Those of you wanting to do a thorough job of recycling need to ask questions, study the charts, and try to be diligent in sorting. Overall, our waste collection system in The Villages is a good one. We are not limited by the amount we put out, within reason; we have the ability to call for free pickup of large appliances and furniture when needed; we have a yard waste day (generally requires the paper bags sold at the hardware/grocery/home improvement stores); and we have the recyclables option. There’s also a local hazardous waste drop-off option for Lake and Marion counties. On the negative side though, Sumter County only has one “amnesty” day a year where you take in hazardous waste. This is a situation that needs to be improved in the future. Be sure to take advantage of the various informational sessions that explain the somewhat complex government arrangement in place in The Villages. The Community Development District approach can be a bit convoluted, but all in all it’s a good system that should serve us well in the years ahead. In Florida, there are about 1,600 special districts with approximately 600 classified as CDDs. The creation of this approach in Florida fits hand-in-glove with the Developer’s approach. The “political subdivision” language in the Florida statutes has led to some conflicts with the tax exempt nature of the bonds used to build certain properties in The Villages — there’s lots of reading on this topic if you are so inclined. Overall, I would say it should have little impact on your home value and your enjoyment of The Villages lifestyle. When a new CDD is set up there is a six year period where the Developer can continue to set the agenda and complete his vision. After six years homeowner representatives are elected to CDD boards. Their power is somewhat limited however and generally falls to budget management only. The center districts are primarily commercial districts with commercial property owners securing influence over time. There are no residents. While some may feel threatened, it is the commercial infrastructure of The Villages that should serve us well into the future — if things deteriorate businesses will suffer; therefore, there is motivation to maintain and/or improve. Currently on the north side we have a resident member AAC board overseeing the administration of the amenity fee funds. When the IRS bond issue is resolved south of 466 we will have this approach Villages-wide. You may be familiar with a homeowner association where you last lived. It was probably set up by homeowners, dues were collected, and you often argued over sometimes trivial issues, or even had to tackle a major issue like a Developer that chose to “walk away” from the development. Life in The Villages is much different. You have primarily two associations to air your grievances and receive information, but neither are “rule making” oriented or empowered to take any actions on your behalf. If you want to get a new “law” on the books you have to work through the CDD network, AAC (new Amenity Authority Committee(s)), or in most cases find some way to get the Developer to hear/resolve your grievance (not easy or straightforward). There are some new covenant and restriction enforcement mechanisms in place, including the ability to levy fines. So, the homeowner associations are the POA (Property Owners Association) and the VHA (Villages Homeowners Association). You will learn the differences over time and each one serves a purpose. The POA has been around since nearly the start of The Villages and has been effective in surfacing and correcting some significant issues. Some feel the adversarial bias isn’t in keeping with The Villages “happy” lifestyle. The VHA is Developer-endorsed and supported. The VHA is made up of resident members and volunteers, but often slants towards only pro-Developer positions to the exclusion of contrarian points of view. Having each association perform different roles isn’t necessarily bad, it’s just important that everyone knows the differences between the messages communicated by both the POA and VHA. There is also a Community Improvement Council (CIC). This is in essence a suggestion system where residents can submit forms that are collected by resident volunteers and passed along to staff individuals for investigation and possible implementation. Each person submitting a suggestion is guaranteed at least a response, indicating their idea has been passed on to the District or the Developer’s organization as appropriate. As you start getting acquainted with The Villages organizational structure, policies, procedures, IT systems, etc. you may form several opinions. It’s best to think it through a little and understand the lay of the land, lest you become frustrated. The excellence exhibited by so many aspects of The Villages can become a bit tainted if you really think about some of the manual, less than optimally efficient, less sophisticated approaches used by The Villages. One way to think about it is to think of some small family-owned business you’ve dealt with in that past that started to grow and get big. This business may have grown so fast that they lagged behind in adopting the most modern, progressive, and efficient business practices. Or, they may have deliberately resisted adopting sophisticated approaches because they didn’t want to change the small business flavor of their company. You may become frustrated with a number of things along the way if you interact with The Villages organization in an attempt to resolve what you see as a problem or opportunity for improvement. It would be nice if these less than optimum operational practices, systems, or procedures could be improved to your satisfaction. Please do speak up though and feel free to suggest improvements (finding the right person to make this suggestion to may be a bit difficult). Be patient when change doesn’t happen overnight. Keep in mind that we are all resistant to change, but try and maintain a positive continuous improvement attitude and do your part to offer good solutions to any problems you see. 36. How can you make suggestions for improvements to The Villages? This one is another tough one. As individuals, everyone can fill out a “goldenrod” CIC (Community Improvement Council) form, either a hard copy at the mail stations or on-line. The CIC is Developer endorsed and has been around almost as long as the POA. The way it works is volunteers receive and organize the forms and pass along the issues to the Developer and/or District representatives in periodic meetings. Every suggestion gets some form of follow-up, primarily just a personal assurance that the idea has been passed along. There are no guarantees anything will change, especially if there are past precedence decisions or Developer policies in play. Another way to voice issues and opinions is via the annual survey. You’ve all taken surveys before so you know that it is a way to roll up high level opinions. The way questions are asked, and how they’re worded, can bias the results a bit. Still, everyone needs to take the time to participate. Beyond these two approaches you can contact the resident reps that are elected to CDD and AAC positions, talk to the homeowner association reps, write letters and e-mails, form groups to bring louder voices to bear, and find advisory committees already in place that may be influential. It can be frustrating to speak up and get issues addressed; but again, was it easy to be heard where you came from prior to coming to The Villages? You had to try and use whatever government or individual influencer approaches were at your disposal. The same holds true in The Villages. Do think twice about getting a petition together. The Developer has been inundated with these over the years and tends to often discount the message. They know that it is easy to pass these around the pickleball courts or golf courses. There may be a quantity versus quality perspective that tends to taint the approach in the Developer’s eyes. Don’t let yourself be a chronic complainer or in the alternative a “head-in-the-sand” or “stay-on-the-sidelines” individual. Neither approach is helpful. 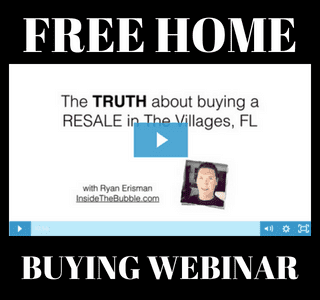 Take ownership in The Villages community as if it’s your own, it is. 37. The Developer, friend of foe? Remember, these comments are just the writer’s opinion. But, here goes. Some are literally amazed at the tremendous job the Developer (this term is an umbrella term used to refer to the various family members, numerous associated companies and relationships, and the staff of The Villages organization) has done in creating our community. We all know the advantages; after all we wouldn’t be here, or coming here, if we didn’t embrace all that makes up The Villages. There are other individuals that harbor some resentment or distrust of the Developer. They may be upset with what they see as a dictatorial and non-accessible style of managing; don’t like the profits (excessive?) being derived by The Developer; feel that some of the ways money changes hands through bond sales/conversions, leases, ticket sales, country club management approaches, etc., aren’t correct; or could just be frustrated that they don’t feel there is a way to be heard when it comes to changes and improvements. Maybe both extremes are off base. We really aren’t living in a perfect society/utopia without problems or opportunities for improvement. And, if people are honest with themselves, they may not really be able to identify any other community (in the world) of this type that is any better. The answer is probably in the middle somewhere. Rejoice in the great things about The Villages, but also find ways to be a part of a continuous improvement journey to make it even better. Some folks coming to The Villages start to resent the local Daily Sun newspaper. They can’t understand why local negative news isn’t reported, or they perceive a political bias towards the ultra-conservative side of the spectrum. The radio station may have great music, but often seems to be a little jaded towards home sales or somewhat shallow Village’s happenings. The TV station can often seem a bit corny. OK, these “happy news” vehicles are definitely biased towards positive “feel good” and Developer-oriented information and entertainment. It is what it is, don’t fight it, just enjoy what you want to enjoy and make other choices to receive your news and entertainment. The Developer is still in a sales mode and we aren’t at build-out yet, so just look at The Villages media in the proper context. 39. Will the Developer walk away once The Villages is built out? The writer has no inside information here, but you might want to consider a couple of things that may make you feel a bit easier about your decision to buy in The Villages. Our country is just now starting to recover from a terrible housing/financial crisis. However, The Villages continued to grow in every way possible throughout this crisis. Of course part of the reason is the baby boomers are retiring in record numbers and many want to move our way. Still, something must be going right relative to The Villages, and the attractiveness of our community to others will probably continue for some time. The CDD form of government has a long term viewpoint, good annual budgeting processes, and a reasonable way for property owners to be involved. This form of government should provide a sustainable way to fund all of the necessary maintenance expenditures in the years to come. We all will have to do our part though after the Developer’s presence is reduced so as to not become too frugal with our decision-making authority. Some would chose to make choices that could cut back on those attractive qualities of The Villages we all enjoy. Even though the Developer may one day not make money via the typical home sales mechanisms, they have in place revenue stream tentacles that spread through all sorts of commercial properties. If The Villages loses its appeal and deteriorates, then the Developer’s family (and friends) will suffer. Corrective actions may be taken to assure this doesn’t happen. We are currently in transition relative to Developer organizational leadership and profit generation models. The Villages is nearing “build-out”. Over the past few years and continuing into the future, much of what was retained and managed internally is being sold, leased, or “outsourced” if you will, many times through “short-arm’s length” transactions. The Developer is making money immediately through some of these transactions and in other cases is/will be deriving long term revenue streams in the years to come. They are “downsizing” their staff in principle while still finding ways to be rewarded financially. This may be philosophical on some level, but in other ways is a “friends-and-family” mechanism to reward family, long term employees, and friends by being given an inside track to business purchases — but ultimately we shouldn’t necessarily fear what is unfolding. The commercial interests of those depending on Villagers for sustaining income will continue to be vested in our success. It isn’t that the Developer’s organizational disinvestment is an expression of their intent to “walk away” or “cash out” on The Villages. It is probably just an even more complex web of financial arrangements that will still allow us to “vote with our pocketbook” if we are individually dissatisfied with some commercial business operation going forward. A couple of recent examples of divestiture are the Yamaha golf cart dealership and the Daily Sun operations entity. If you attend one of the informational sessions offered by The Villages you will learn that bond debt servicing consumes the largest portion of your monthly amenity fees. Over time, as the bond debt is retired, the money will be available to be distributed via the AAC process. Note that over time maintenance costs will go up, hopefully not before the bond debt principal and interest is repaid. 41. Why are there maintenance and fire protection charges on the Property Tax Bill? Your amenity fees don’t cover maintenance of the common areas. While we live in a normal county/state geographical location, the CDD arrangement means that all of the homeowners in the CDD district are obligated to cover the cost of the common area maintenance. This is another area where you might think of your old neighborhood association dues each year versus The Villages CDD arrangement. The annual property tax bill is just a convenient way to collect these fees. Fire protection and emergency services in The Villages are world class. Beyond normal county services, The Villages enjoys fast and responsive emergency services contained within the districts. Again, this minimal charge is included on the annual property tax bill. 42. Why do we have a bond payment in addition to our home purchase — should you pay it off? A lot of people are confused and/or upset about the bond issue associated with their new home. They also get confused about the bond payoff process. What you have to keep in mind is that in our situation the cost to develop your particular neighborhood/lot is broken out separately rather than being rolled up inside your lot/home cost. In other areas of the country where you may have lived previously you may never have known what the cost was to develop the infrastructure surrounding your particular homesite, it was just part of the purchase price for the lot and/or home. Typically if you carried a mortgage on your lot/home, you were simply paying principle and interest over say a 15 or 30 year time period. If you carry a mortgage on a home in The Villages it will not include the bond payment that is collected as part of the annual property tax collection process. The bond payment IS NOT part of your property taxes even though it shows up on the property tax statement. Being listed on your bill is just a way for the bond payments to be collected. It appears to most authorities that it cannot be treated as a deduction for tax purposes, but it’s best to talk to your own tax expert. Note that some people have taken out home equity loans to pay off the bond, and then deduct the home equity interest — again talk to your tax advisor. Should you pay it off after purchasing your home, or possibly down the road? Maybe you plan to pay cash for the home and want to be debt free in retirement? The standard opinion around The Villages is to not pay off the bond, at least initially until further reflection and analysis. Why not? Most people feel that if you sell your home in a few years you won’t be able to recoup the payoff amount because most buyers seem to discount the bond debt as part of the buying decision. If you sell down the road you’re selling against other resales and new homes, and if you are pricing your home above the market to recoup your bond pay-off investment you have to count on the buyer giving you full credit for the bond payoff amount. It’s a little like a car purchase scenario where the buyer is less interested in the cash price than the monthly payment amount. The exception to the rule may be if you plan to stay in the home and/or want to be debt free in retirement. Also, you may look at the bond interest rate and compare this to your retirement savings returns. You may find that you could actually “earn more” on your savings by substituting some low yielding investment money for the higher interest bond loan principle. For example, one way to think about it is if you have a bond interest rate of say 4 or 5% (check the rates, they’re all different depending on timing) could you earn that much elsewhere on your savings? If the bond interest isn’t deductible (disclaimer here please), but you have to pay taxes on your investment income, then the financial benefit spread of paying off the bond early may in fact be prudent. Just think it through based on how long you plan to stay in your home and your financial status. You may move to The Villages with multiple vehicles. Most people understand that they will need a golf car/cart, even if they don’t golf. You really can’t appreciate The Villages lifestyle unless you take advantage of traveling via cart. But, what is the proper vehicle mix? Obviously this is a matter of personal choice, but in general folks seem to only need one car and one, or even two golf carts. A good car choice is a small economical SUV. It should be noted that a lot of people assume that a standard garage is OK, but many prefer having the additional golf cart garage. Many people that don’t purchase this option with their home later regret that decision. Due to lot line setback restrictions, adding a golf cart garage later may not be possible — be very careful by asking your sales agent lots of questions. Another decision people have to make with golf carts is gas versus electric. Be careful of your choice — all golf carts are not equivalent. Talk to lots of folks and do a little research. Cost, reliability, performance, range, appearance, etc. are all relevant considerations. In general electric makes an excellent choice for golf and most reasonable distances. But, if you plan to travel from one end of The Villages to the other with golf course and night driving included, most electric carts may struggle to make the grade, especially as the batteries age. Gas carts are a little noisy, not as smooth operating, and a little odorous. To help reach a happy medium some people prefer to have one of each. On a per-trip basis gas cart fuel cost per mile will probably exceed the electrical re-charging cost per mile for an electric cart. However, when lifecycle costs are considered the formula may change. With a new set of batteries costing anywhere from $500-$900, mismanagement of battery life can upset the lifecycle cost equation substantially. Battery life can vary from a minimum of 2 yrs up to 6 yrs in the extreme. Two special types of golf carts are in use around The Villages in addition to the normal “golf carts”: Street Legal LSV (Low Speed Vehicles) and “Nostalgia” carts. A traditional golf cart set up for use in The Villages is typically equipped with high speed gears/motor plus convenience, golf, and appearance options. It is limited to speeds of less than 20 mph. These carts are able to travel throughout The Villages on residential streets with posted speeds of 30 mph or less. Typically the 15 mph neighborhood streets don’t have dedicated golf cart lanes but the 20-30 mph streets do. Golf cart insurance is available at reasonable rates. LSVs are limited to speeds of 25 mph and can travel on streets with posted speeds of 35 mph or less. To travel at these speeds on these streets, the vehicles must be registered, have a current license plate, and the operator must be licensed and insured. Insurance is much higher than the 20 mph carts, even if you don’t license the vehicle. Since they have 15 digit VIN numbers just like automobiles the insurance companies are generally unable to provide lower cost insurance options. LSVs are equipped with additional safety features and are generally more expensive. Nostalgia carts are classic car bodies mounted on a traditional golf cart chassis. These are fun carts for cruising the town squares, plus some models are also able to accommodate golf bags if desired. Note that tire designs must be approved for golf course use. All carts can travel on the multi-modal paths like those along Buena Vista and Morse Boulevards. There are no “official” speed limits on these trails because there is no enforcement authority, but obviously 20 mph is the “rule”. Safety: extreme caution is required in that golf carts are not structurally designed to protect the occupants in the event of an accident. They can become unstable at high speeds when sudden maneuvers are required. Larger car and truck drivers often don’t notice them as easily as they do larger vehicles. It is recommended you purchase your cart(s) with optional side marker and overhead canopy (also called sunscreen top), parking-brake/turn signal lights, and you use your turn signals for ALL turns — even in combination with old-fashioned hand signals. On the topic of seat belt use, it is my recommendation to have seat belts installed in a professional manner and use them in all cases other than on the golf course. Keep in mind that the manufacturers have not installed seat belts in non-LSV carts because the industry lobbying and standards groups have not faced up to the usage patterns typical in communities like The Villages. By not designing the carts for seat belt use they can avoid the liability associated with injuries occurring when carts are used off the golf courses (remember they were designed/tested/manufactured for golf course use). On the golf course they feel that falling out or being thrown out of a cart in the event the cart were to roll over is safer than the alternative. Some people still believe seat belts are a detriment rather than benefit. There is always a “catch 22” type of argument that really just doesn’t hold water. Remember the early argument against seat belt use in cars? People said that if their car ended up in a river or lake they didn’t want to be trapped inside the car and not able to escape through a window so they could swim to the surface. The reality is that the typical accident history unfolding in The Villages appears to be that individuals are often being ejected from their carts when the cart impacts another vehicle or immovable object, or possibly turns over on its side after hitting a curb, ditch, berm, or landscape feature. A large number of accidents seem to involve a passenger being ejected, with or without the cart actually turning over, strictly due to a sharp high speed turn or avoidance maneuver. If a person were to hit their head on the pavement or curb, serious head injuries are possible in addition to bodily injuries. It is much better, in the writer’s opinion, to be restrained and retained inside the cart, even if the cart were to tip over on its side. Even though the overhead canopy is only a sun and rain shield for the most part, and is not a structural ROPS (roll over protection system), the majority of the incidents occurring with street use in The Villages do not appear to involve full rollovers. Note that many seat belt installations are not well engineered. There are generally no substantial attachment points provided by the manufacturers (except for LSVs). Most seat belt installations will perform some function based on minor accidents, but more substantial mounting systems will be better able to handle more significant accidents and larger frame individuals. Keep in mind that very few installers, including the dealers, are making a substantial effort to design and engineer heavy duty seat belt mounting systems. One reason being given is that modifications are not endorsed or condoned by the manufacturer. One more consideration relative to vehicles has to do with respect for you neighbors with driveway/street vehicle “clutter”. Some folks come down with multiple cars, trucks, SUVs, etc and then fail to purchase a home with enough garage space, then they park the extra vehicles in the driveway or on the street. This is also aggravated by those with collector cars, extra golf carts, motorcycles, etc. It’s really best if newcomers think this through carefully. Maybe store collector cars off-site, reduce your dependence on multiple vehicles, or work hard on your home choice/lot selection to maximize your garage space (difficult, but sometimes doable). Motorhomes, trailers, and boats are clearly covered in the covenants so off-site storage is a foregone conclusion. 44. Who has the right-of-way, golf carts or cars? Golf carts and cars have to co-exist in The Villages. While it’s easy to say that cars always have the right-of-way that’s like saying the same relative to bicycles, pedestrians, motor scooters, etc. The reality is that we have to deal with mixed traffic, especially at intersections. Take for example the situation where our golf cart lanes are striped off on the side of the main thoroughfares throughout The Villages. The lanes specifically funnel the golf cart traffic out into the main lane of the street with the licensed vehicular traffic ahead of intersections. This doesn’t mean that cars should “push aside” the golf carts or force them to stop abruptly. If the golf cart has used the turn signals and/or hand signals, and they are merging well in advance of the approaching car traffic, then cars must slow down and let the carts enter. Where cars clearly have the right-of-way is where they are in motion at golf cart crossings and it may actually be a bit unsafe if cars stop in an attempt to be courteous to golf cart drivers. The politeness adds to confusion and could lead to an accident. Cars should continue at a normal rate of speed and golf carts need to wait until the street is clear before crossing. Be courteous, respectful, and drive safely, whether you’re in the car or the cart. You will probably find that driving in The Villages and around Florida may be somewhat challenging as compared to your current frame of reference. Not only do the golf carts add an extra dimension of difficulty, but there is such a blend of driving styles, and not to be offensive here, but sometimes older drivers are a bit inattentive, are overly or under cautious, drive too slow, have slower reaction times, or simply make bad choices due to eyesight, hearing, mental alertness, etc. People coming from hectic high density environments may bring an aggressive driving style with them. And, working members of greater Florida may be caught up in hectic workday routines and fail to look out for retirees. All in all, you need to drive very, very defensively when living in The Villages. For whatever reason The Villages, and local law enforcement, continues to take the stance of encouraging people to read a brochure on how to drive through the roundabouts. This ignores visitors and others who haven’t read the brochures and may be driving through our roundabouts for the first time. There are plenty of lessons learned from other communities, Europe, etc., as to how to properly mark traffic lanes PRIOR to entering the roundabouts. Also, larger more explanatory signage well ahead of the point where a lane change can be safety executed needs to be in place. The easiest way to think about these traffic circles is to just think of a normal intersection on a four lane road. Would you come up to the intersection in the right lane if you planned to turn left? No, you would get in the left lane first before reaching the intersection, plus you would signal your intent with your turn signal. Would you ever come up to an intersection on a four lane road in the left lane and then turn right? No again. Also, be aware that when a car is actually starting to enter a roundabout that any other vehicle in any portion of the traffic circle has the right-a-way. You must yield and only enter when the other party is absolutely clear. The roundabouts/traffic circles are not intended to be a free-for-all where you just do what you want without regard for the other drivers. 46. Watch out for sports injuries! It seems the story plays out over and over. People are so excited to retire and live in an active adult community such as The Villages; they try to do too much too soon. Remember, you’re not a kid anymore. You may have had a desk job and may need to condition your body. You can get hurt fairly easily if you’re not careful. Really think hard about a dedication to fitness and gradually increase your endurance and physical condition. You might want to also think a bit about your weight. There are too many restaurants that seem to serve all of the comfort food people enjoy. OK, changing fitness regimens and diets is hard enough under ideal conditions, maybe it feels too much like work to change — but if you do, it’s possible to enjoy a long, happy, and active retirement in The Villages. If you aren’t physically fit, how can you properly enjoy all of the amenities in The Villages that require physical fitness? Why discuss this simple item? Some folks don’t think this through and may make a mistake. Many of our homes have minimal space available in the back “yard”. Grills can be an eyesore for your neighbors. If you happen to have a birdcage you may assume that you can put the grill inside — not a good idea. Over time the dirty burning propane or charcoal, plus the greasy smoke, will coat your birdcage structure and screens. Thoughtful patios with screen walls and/or strategically located shrub placement can help. Summer kitchen projects inside Lanai areas are high cost but offer some convenience and possible aesthetic enhancement. But, keep in mind these arrangements can be costly — done right they must have a substantial exhaust system with a large enough hood/fan arrangement to keep the dirty smoke from coating the Lanai walls and ceilings (and smoking up your outdoor entertainment area). Hard feelings between neighbors can arise over the issue of not properly picking up your pet’s waste products. Think about separating the “business” aspect of taking your dog outside from the exercise part of the outdoor adventure. Conduct “business” in your own yard first, and then take your dog for a walk. When you do walk your dog along the roadways, around rec centers, pools, mail stations etc. please be respectful of others. A secondary issue involves taking animals into stores, to the town squares, etc. Some might consider it a great benefit of living in The Villages. Others may look at it like an infringement on their personal space. Use common sense. Also, if there is any chance at all that your dog might nip at others, leave them at home or muzzle them please. 49. Do we love our restaurants, hate them, or simply tolerate them? This is obviously open to debate and there is no single answer. There are lots of choices, at least when it comes to fast food and mid-range restaurant choices. Many feel we could use a few high-end restaurants. One thing missing though is a coordinated incentive/measurement system that rewards excellence in food quality, service, affordability, etc. Yes, we can vote with our pocketbooks, but I wonder if we all enjoy eating out so much and so often that we tolerate mediocrity? Maybe we need to get organized and start holding all of the establishments to a higher standard? Note that there are some blogs and review options on various websites, but nothing is really coordinated and prestigious enough to have much of an impact on the local restaurant operations. Note also that local country club restaurants are commercial establishments competing for the same dining dollars as the national restaurant chains or local Florida operations. There are a few questions about the country clubs on the annual survey conducted by the Developer, but there is not a broad and deep review process in place, with the results published, to drive quality and consistency improvements across the area. We will probably never get this measurement system from the Developer organization because they would not want to offend or embarrass their commercial tenants. 50. Making friends – is The Villages different than elsewhere? You bet it’s different. There are people everywhere, most willing to strike up a conversation any time. Some people prefer to group up with their neighbors. Others have friends and family already here or moving here soon. You can meet people in all sorts of recreational outings and social clubs. In some ways you actually need to find ways to “manage” what can be a friend overload situation. Sometimes people self-limit almost to the point of being rude —- they feel they’ve reached their maximum number of friends and want no more. Note there is a bit of a difference in the part-time versus full time resident friend dynamic. Maybe it is because part-timers are still balancing the base of friends located in multiple locations? What’s the lesson here? People that may have had only a small circle of friends and family before may need to learn/re-learn some friend making skills. If they do they will have a much more rewarding experience living here. It’s a shame to see some folks come to The Villages and never leave their house, or maybe only go outside to walk the dog and carry out the garbage. Yes, some of these people just don’t make the transition and ultimately move on. Those people that are social, friendly, courteous, respectful, outgoing, and positive will think they’ve arrived in heaven when they move to The Villages. If they get personal satisfaction from relationships with others they will be able to leverage the community to the maximum extent possible if they are so motivated. While some may feel that moving to The Villages is all about the weather, the golf, the softball, the bowling, the town squares, or whatever, the reality that many find it is all about the people. The opportunities to meet people and make new friendships in The Villages are essentially infinite. There is a dynamic in play that quantity and quality of friendships may be hard to balance due to the lack of time in some cases to nurture deep, close and lasting relationships. People’s “dance cards” are often filled and it’s hard to find time to get together. A question to ask yourself is whether you are looking for a large number of acquaintances or a few close friends? Food for thought, so you get started on the right foot. At least you have the rich and ever-changing demographic of The Villages to work with — something you may not have if you choose some other retirement location option. One final process check — are you sure The Villages is for you? Make sure that before you buy your decision is well thought out. Do consider renting for an extended period of time and/or visiting several times before buying. You may think “why bother;” you know how great it is because you’ve already been “drinking the Kool-Aid”. You know what utopia looks like and it’s The Villages!! Make sure you’ve written down a full range of alternatives, of which The Villages is one. Did you give appropriate weight to the quantity and quality of the amenities and infrastructure that only The Villages can deliver due to economies of scale and persistent/consistent Developer vision? Will you be happy with the housing choices, especially if you had your heart set on some sort of super-upscale retirement community? Are you OK with owning a home/floor plan that many others throughout The Villages also have? Are you OK with the covenants and restrictions that will be in force? Here’s one final test of your interest and resolve. Be sure to think carefully about these statements and decide if they relate to your personal perspectives. It’s all part of the alternative evaluation/decision-making process. Please don’t take offense; a few might strike a controversial or negative nerve; this is intentional as a way to firm up your retirement choice commitment. • Are you sure you’re really ready to leave your home place and/or the kids/grandkids (move from Phase I to Phase II)? • I’d rather be close to the water, or the mountains, the big city, my favorite NFL team, a cultural mecca, or …? • The Villages is too large and too crowded. • There are so many people here during the peak season that you can’t get a tee time. • There is too much traffic at peak (golf cart traffic in particular). • You can get a lot more home for your money elsewhere. • The production home build/high density lot arrangement doesn’t allow for enough home uniqueness, individuality, or privacy. • It’s too cold in the winter (by south Florida standards) and too hot in the summer (actually seldom over 95°). • There are too many rude people (comment more prevalent during the peak season). • There’s not enough snob appeal (not really stated this way; the point is that some folks would rather have a higher price-of-admission community). • I don’t like being told what color I can paint my house or how I must landscape, i.e. the covenants and restrictions are too restrictive. • I’m scared of what will happen when The Villages is built out — will it deteriorate like other planned communities I’ve heard about? • I resent the Developer (too successful, makes too much money, individuals can’t have a say in how things are run, too dictatorial, etc). • Most of the businesses seem to lead back to the Developer in some way, surely this can’t be right? • I don’t like that the Country Clubs don’t function like the Country Club where I used to live (they are simply separate commercially operated golf course and restaurant operations, not social organizations benefiting the residents/members). 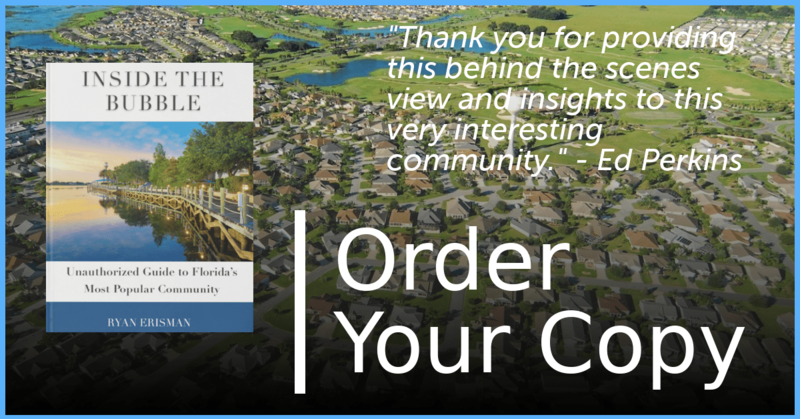 • I don’t play golf – so why do I want to live in The Villages? (One only needs to look at the rec center guide to pick up on the alternatives). • I don’t believe I can develop deep and lasting friendships because there is too much emphasis on creating lots of casual acquaintances associated with amenities and activities, i.e. no one will have time for me. • All of the “play” activities are too superficial – I would rather live where there’s more culture or more intellectually challenging opportunities. • I can’t find a really nice restaurant for special occasions. • I need to continue to give back to others, leverage my skills and abilities, volunteer for needy causes, etc —- this doesn’t seem to be a priority in The Villages due to all of the recreation and social activities (in actuality their of lots of volunteer opportunities in and around The Villages if one seeks them out). • I want to work in retirement and the only jobs seem to be minimum wage ones where I can’t fully use my abilities. • Central Florida is just too rural and lacks upscale infrastructure and culture. • I want to live with people of all ages, not just an area with OLD people. • There’s not enough cultural, racial, political, or age diversification to suit me. • I’d rather live where there are large scale, high quality entertainment options, sporting events, upscale shopping, and gourmet food stores/bakeries/delis/etc. • I’m just skeptical, something has simply got to be wrong with this place; nothing can really be this perfect!! Did you feel that most of the negative statements were just a bunch of sour grapes? Are you ready to move to The Villages? If so, I hope that by having read this write-up you are better prepared for all that lies ahead. You’ve worked hard and you deserve to live in the best community possible!